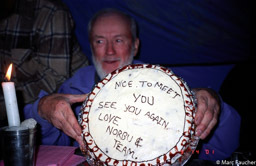 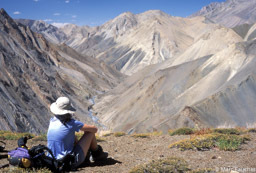 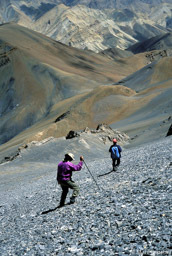 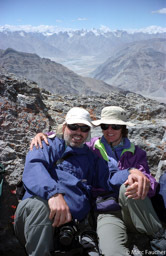 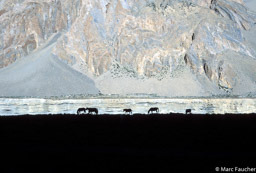 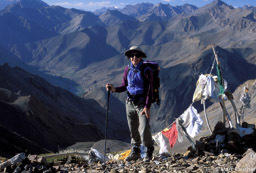 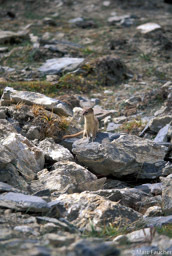 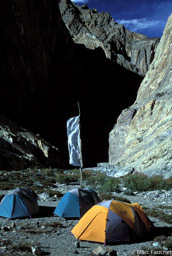 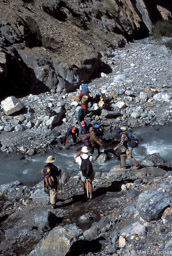 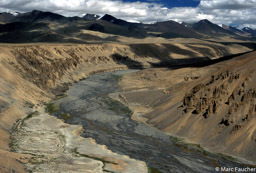 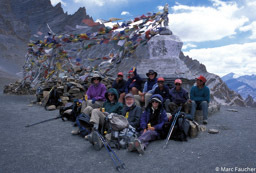 We traveled to northern India in late August to mid-September, 2001 to hike along the Zanskar Range in the rain shadow of the great Indian Himalaya. 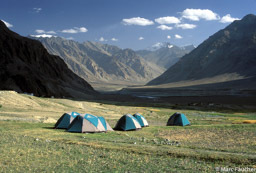 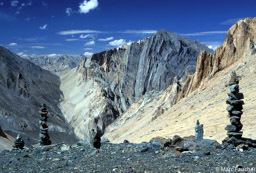 We flew to Delhi and then to Leh, drove for a day along the Leh-Manali Road, then hiked through the mountains. 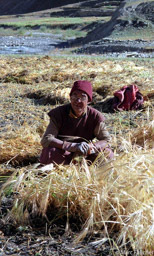 The area is very dry with scattered villages growing fields of barley irrigated with snowmelt. 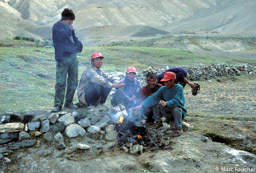 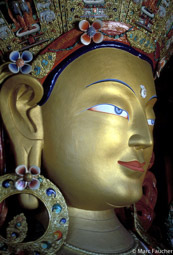 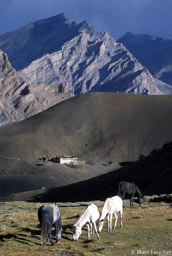 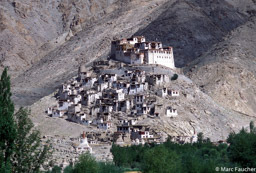 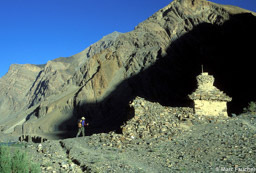 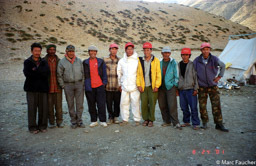 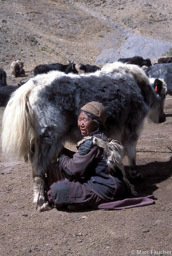 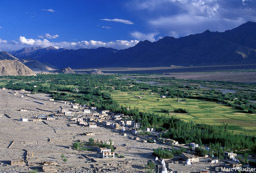 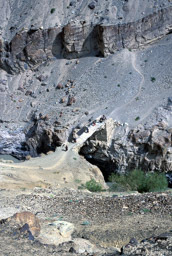 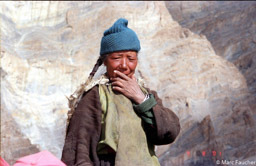 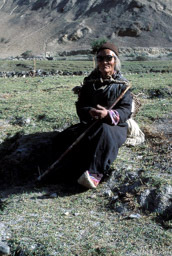 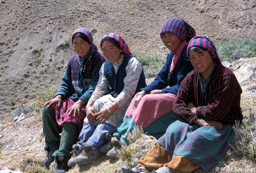 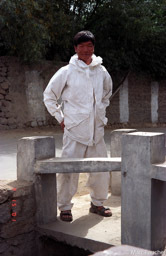 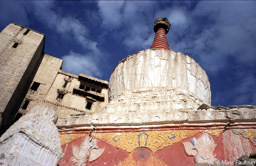 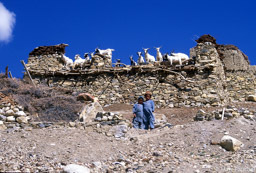 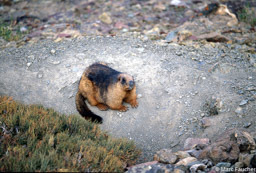 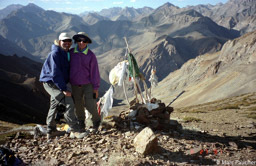 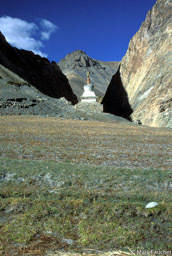 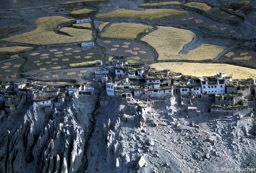 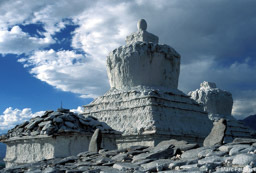 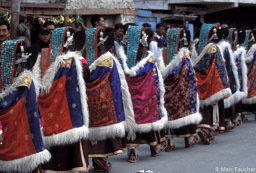 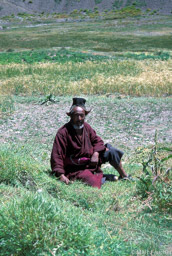 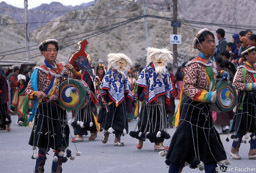 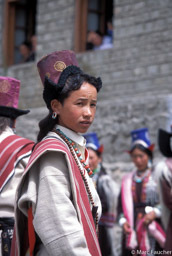 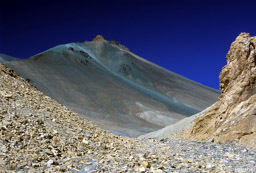 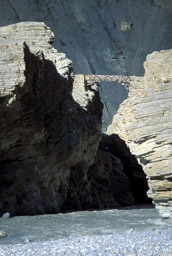 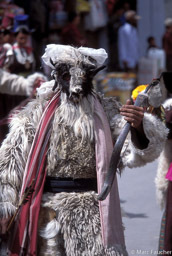 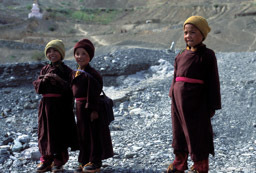 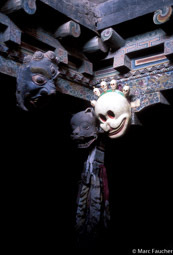 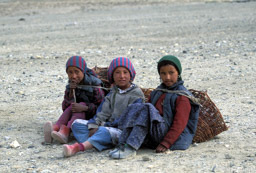 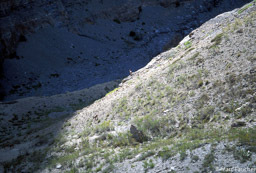 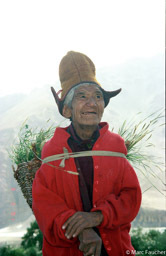 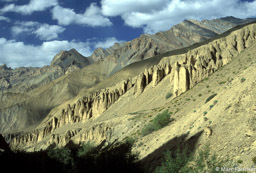 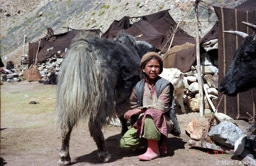 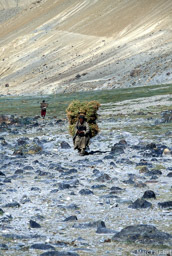 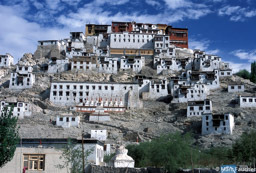 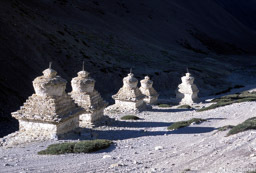 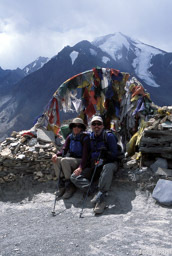 Tibetan Buddhism is prevalent with many gompas, chortens, and mani walls - even in isolated areas.